Joan Marcus Michael Urie in Harvey Fierstein's “Torch Song.” The recent Second Stage Theater production will move to Broadway in the fall. 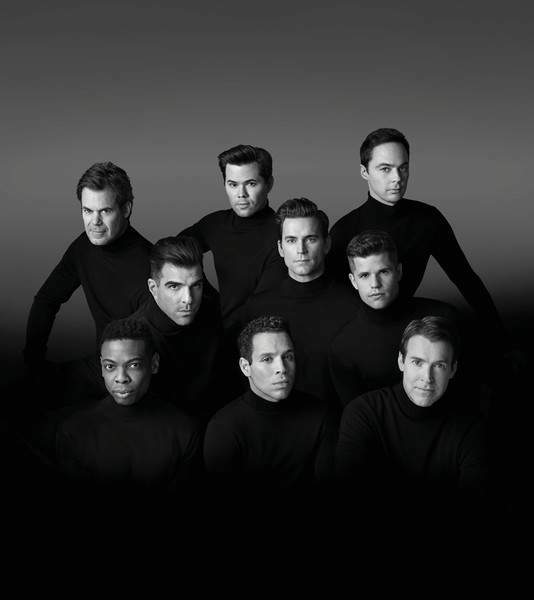 Robert Trachtenberg The cast of Mart Crowley’s revival of “The Boys in the Band,” which is coming to Broadway this month. Battered by screenwriting jobs that fell through and the depressing feeling that his career was over before it had started, Mart Crowley found himself house-sitting in Beverly Hills in summer 1967 and mulling over an idea he desperately hoped might get him somewhere. It was for a play that would focus on the emotional lives of gay men – a subject that had been treated in other plays, but not in one that made it to the mainstream. Drawing on memories and relationships, the 32-year-old was still groping for the right conceptual canvas for the play, when one was dropped in his path. And, bam. “The Boys in the Band” found its focus. Now, marking the 50th anniversary of its off-Broadway debut, “The Boys in the Band” is being given its Broadway premiere, in a year boasting perhaps the most notable convergence of tentpole plays of gay theater Broadway has ever seen. Already the year has produced an impeccable revival, directed by Marianne Elliott and starring Andrew Garfield and Nathan Lane, of Kushner's poignant, blisteringly funny “gay fantasia” of AIDS and Reaganite neglect, “Angels in America.” Courtesy of Hollywood and Broadway producer Ryan Murphy, Crowley's “Boys” joins “Angels” on Broadway on April 30, under the direction of Joe Mantello – an original member of the 1993 Broadway cast of “Angels” – and with an ensemble including Jim Parsons, Zachary Quinto, Matt Bomer and Andrew Rannells. Setting up as a third pillar on Broadway is the revival of Harvey Fierstein's “Torch Song,” which first made its way onto Broadway in 1982 (as “Torch Song Trilogy”) and starred Fierstein as Arnold Becker, a lovelorn drag queen with middle-class dreams and a thing for a closeted married man. 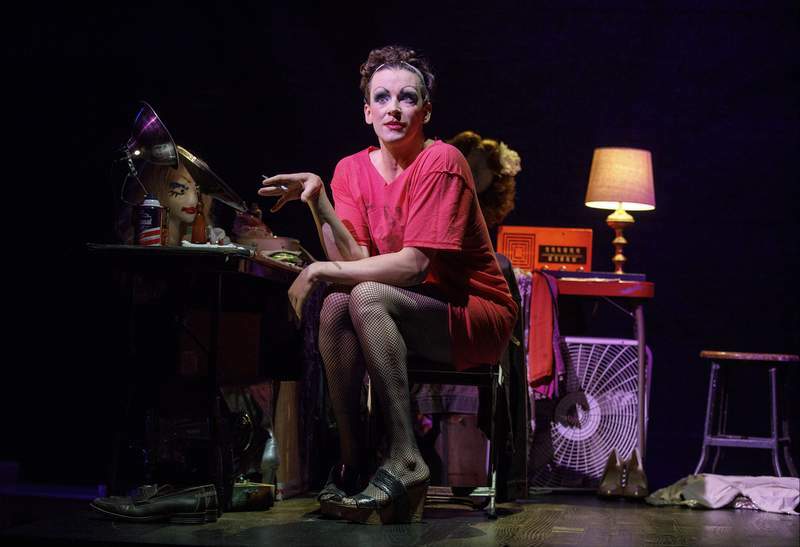 The new “Torch Song,” a transfer from off-Broadway's Second Stage Theatre, will open in the fall at Second Stage's recently acquired Broadway space, the Helen Hayes Theatre, with Michael Urie as Arnold and Mercedes Ruehl playing his tough-as-lacquered-nails Jewish mother. This retrospective meetup in the commercial OK Corral of American theater suggests that for at least some parts of the gay community, the canonization of milestone works is taking deeper root in the culture. Not that this signals any end to the struggles of gay, lesbian and transgender people, not by a long shot, or that the works of female and trans writers, particularly those of color, are as yet receiving the same level of prominent treatment as those of these white men. But, as Kushner noted in a telephone interview, the tide of history might be playing a part in this intersection of gay plays. For playwrights, tourist-driven Broadway is no longer the crossroads of American theater: That distinction is now shared by dozens of play-commissioning regional theaters, along with the playhouses and nonprofit companies of off-Broadway. Still, that these three works are able to attract this caliber of talent and producing might all at once speaks to some evolution in the taste of audiences, or the ones that can afford Broadway prices, anyway. For the playwrights themselves, though, the coincidence of having one another's best-known plays brought back practically simultaneously and with such fanfare might have less to do with the related permutations of identity and sexuality that run through all three than with the broader, universal themes they tackle. To Fierstein, too, the possibility of a major new revival of his own seminal play was an opportunity to view it in its most powerful context – and that did not include the AIDS epidemic, about which some people seem to think Fierstein was framing his story. In fact, “Torch Song” predates the AIDS crisis; to make that fact even clearer in this new, carefully trimmed version Fierstein pushed back the events of the play by a year. Paula Vogel, the Pulitzer Prize-winning playwright (“How I Learned to Drive”) who finally made her Broadway debut last season with the Tony-nominated “Indecent,” avers that in 2018, the definitions may have shifted over whether white gay men in the performing arts can be considered to be on the outside looking in. “To be a gay man in New York theater, that's not quite an oppression,” said Vogel, who is a lesbian and whose play about the Yiddish theater documented the first lesbian kiss on the New York stage. “So if Tony wants to write about race and class and gender, go for it, man!” Vogel said. Crowley's eyes, Kushner recalled, filled with tears.